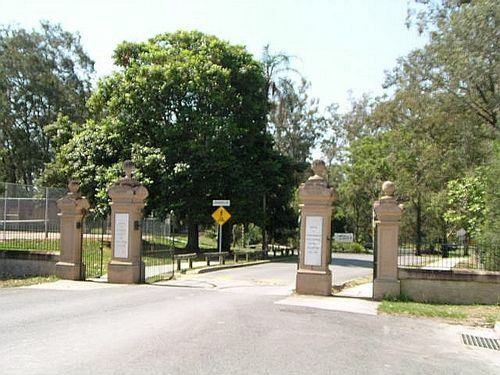 The Gates commemorate those from the district who served in World War One. On the 23rd October 1920, the Soldiers Honour Gates giving access to Kalinga Park were officially opened by Brigadier General L.C.Wilson C.B., C.M.G., D.S.O. The memorial was erected through the combined efforts of the local Ladies Patriotic Club, the Kalinga Progress Association and the Toombul Shire Council. Mrs H. Cameron ( President of Ladies Patriotic Club) said that the Honour Gates were erected with the idea of being a witness and an everlasting remembrance of the patriotic services and sacrifices of the men of Kalinga district who fought for their country in the Great War. The Brisbane Courier, 25 October 1920.